Engineering & Design | Vacuum Chamber, Pressure Vessel & More - Meyer Tool & Mfg. 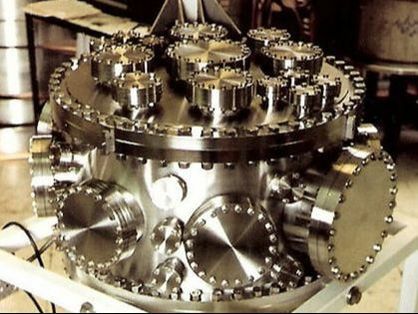 We have been designing and building custom pressure, vacuum, and cryogenic products servicing the particle accelerator industry since 1969. Our engineering staff can assist you with the design of your next chamber system. We specialize in expert engineering design for fabrication based on our nearly 50 years of experience fabricating precision machined and welded assemblies. We take on the tough projects that other shops either pass by or quote inefficiently. Our development processes are optimized to streamline and troubleshoot prototype scale projects and turn them into optimized production runs. You will receive a dedicated engineering resource for your project. Our engineering staff will work with you to optimize your design for fabrication. The Meyer Tool engineer will put together the manufacturing plan, order materials, and manage the project schedule. They will be your single point of contact to ensure that all of your project needs are met. Our engineering staff is well versed in ASME code requirements and our shop maintains a "U" and "R" stamp allowing us to both repair and build new ASME code vessels. We can review your vessel design to ensure that it meets code or we can come up with a design from scratch. We will get familiar with your project requirements and walk you through the design process to ensure that the final design is optimized for cost and manufacturability. 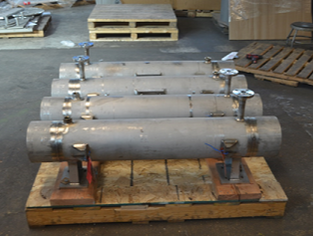 We have designed pressure vessels for a wide variety of applications including oil & gas process vessels, biomedical process vessels, semiconductor process vessels, coating deposition vessels, and many more. We can custom engineer a chamber to meet your specific needs or we can work with you to finalize a design that you already have started We troubleshoot challenging fabrication problems. 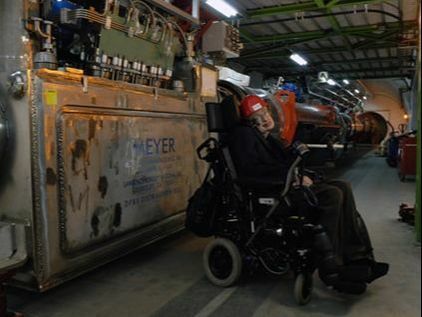 Stephen Hawking in front of a Meyer Tool distribution box installed in the Large Hadron Collider at CERN. Cryogenic system design is very broad term that can refer to many different products that can be used in a vast array of industries. We have developed cryostats for deep space telescopes, cryogen distribution boxes for the Large Hadron Collider (LHC), cryogenic bayonet valves for laser research applications, and many more unique and challenging projects. Here are just a few of the various components that we can design for optimal cost and performance results: cryogenic piping systems, thermal intercepts, thermal shielding, internal pressure vessels, external vacuum shells, piping supports, transfer lines, and bi-metal fittings.